When a child misbehaves, two separate things need to happen in order to teach better behavior. First, the behavior needs to stop. Second, the behavior needs to change. However too often, we only focus on the stopping part. It is not enough to simply punish or scare a child into stopping the behavior and then move on, satisfied because they have stopped doing whatever it was that was unacceptable. It is also not enough to only tell them what you’d rather they were doing without first acknowledging what they’re doing wrong. In my experience four little words can accomplish both tasks and teach children to effectively manage their behavior: "You are...I need..."
This has been one of the most helpful phrases I’ve ever used when correcting a child's behavior. I learned it from Diana Day, a teacher and consultant with over 30 years of experience in the classroom, and it has completely changed how I work with children to stop inappropriate behaviors, and change them into appropriate ones. You are... communicates that you clearly see the inappropriate behavior and are holding them responsible for it. When you start the discipline with a statement of exactly what you saw them doing, it eliminates some of the “I didn’t do anything!” types of reactions from your kids. I need... then puts you in a position of calm authority and clearly states what you expect. The beauty of this method is it leaves very little room for confusion, while calmly and firmly correcting unacceptable behavior. In order to be effective, the adult must not engage in an argument. You are simply stating two facts, and neither of them are up for debate. The child was doing something inappropriate, you’re acknowledging that you noticed it and that you expect a different behavior. End of story. By not hanging around to engage in an argument, there is no need for the child to get defensive, because they’re not in trouble. You are making the expectation clear in a calm way. Over time, and with consistency, the child also knows that you mean business, and you see them and care about them doing the right thing and learning to manage their behaviors. Another key factor in this being effective is to be specfic. Instead of general statements like "You are disobeying. I need you to listen," try to be more specific..."You are not following my direction about bedtime. I need you to go put your pajamas on right now." Give it a try. It takes a little practice, but if you can consistently phrase your corrections to kids in this way, you'll notice less escalating misbehavior overall, and fewer power struggles when a misbehavior does need addressing. 12:00 After getting Jack and his trash can of grossness hurried along to the nurse, I absentmindedly tell everyone to get ready for lunch. In my haste, I forget that a simple statement like, “Get ready for lunch,” means all 27 second graders will rush toward the single coat rack in the classroom and crowd into the 12 square feet of space to grab their lunches. I immediately regret not sending them up a few at a time. Oh well, at this point we’re already down from 35 to 30 minutes to eat, so we’re just going to roll with it. Despite Brian who realizes he forgot his lunch, and Dallas who can’t remember if he needs to get a hot lunch or if his mom is bringing him one, we eventually make it to the cafeteria, where I am relieved to drop them off. Lunch means a break for me to wolf down some food and breathe. I have 25 minutes left to microwave last night’s pasta leftovers in the break room while making a quick copy for math that afternoon. Making a copy reminds me of the parent request to have all of her child’s work at the front office to be picked up by lunch time. Yeah, that’s not happening. I quickly scan the break room for plastic cutlery for the birthday cake. There is none, so I rush back to my classroom to eat my soggy leftovers with the remaining ten minutes of lunch. My mouth is full when two moms walk in my classroom door. One is holding a sheet cake and the other is standing with her hands on her hips and confusion on her face about why her son’s work is not waiting for her to pick up in the office. With my mouth full of baked ziti, I have to explain to both of them why I cannot satisfy their last minute requests. 12:35 I meet the students on the playground to pick them up after lunch recess. They quickly get in a straighter line when they see me coming. I smile and congratulate myself on what a great job I have done to instill high expectations, until I get closer and three children come running up to tattle about three different recess offenses. Two other children at the front of the line are pushing and shoving over whose turn it is to be line leader. Another is hot, another is thirsty, and the twirler is spinning around with her lunch box extended, completely oblivious to the fact that it’s time to line up. While listening to the various grievances and directing my ballerina back into line, I do a quick head count and notice one is missing. I know Jack threw up and went home, but I’m still missing one. I start to ask, “Who’s miss . . .” and before I can even finish the question about 17 children yell back, “Braydon!” Oh yeah. I close my eyes and take a deep breath before I attempt crowd control. We eventually make it back inside with everyone accounted for. 12:40 Silent Reading— Hands down my favorite time of the day for obvious reasons. 1:00 Math starts out with a daily warm up of review activities on the interactive white board. This expensive piece of technology can be awesome, but is more frequently not working and a thorn in my side. Today is no exception since it is on the fritz, so the slide with the problems for students to do is not available. This is one of those many moments in a teacher’s day where winging it becomes necessary. No matter how prepared you are, things always come up and you need a Plan B at the ready, or you will have mutiny on your hands in a heartbeat. Although the exercises on the computer would have been much more exciting, with interactive coins to count change and a clock to manipulate and show times, I quickly write a few review problems on the regular old whiteboard. We move on. 2:00 It’s mercifully time for a Special Class! These precious 35 minutes four times a week are my only prep periods, and are otherwise known as a time when teachers can at least use the bathroom while the students are in Art, Music, P.E., or Library. Today is P.E., so the changing into tennis shoes commences. 2:35 I pick up the kids from P.E., and we head back to the classroom for them to get their snacks. I grab a stack of papers to grade before we head outside for afternoon recess. I give one student a reminder before he heads off to play to keep his hands to himself, and refrain from tackling classmates this recess. I realize I forgot to grab a walkie talkie for the office to get a hold of us while we’re outside, so I ask Katie to go to the office and get one before the secretary has to come out and give us a grumpy face again when she tries to reach us and can’t. Just as I’ve finished grading the first paper on my stack, a student comes up in apparent agony. Like a wounded warrior being helped off the field of battle, he has a loyal companion on either side, practically holding him up. I would normally be concerned, but this is Kevin, a child with quite the flair for the dramatic. So I thank his companions for their concern and delivering him safely, and ask him to sit down next to me. I see his knee is skinned, but he immediately bends it, so I am certain that nothing is broken and he will live. Recess triage and seeing through some false tears is another one of any teacher’s well-honed skills. 2:50 We head inside for Social Studies where we continue to work on our neighborhood map project. Some students are already finished, so they’re creating a second map of an imaginary neighborhood they’ve designed. The perfectionists in the room are meticulously measuring everything to scale and drawing all their straight lines with a ruler or asking for another piece of paper because they’ve messed up again. The less than motivated cartographers in the group have scribbled a square for their house, a rectangle for the grocery store, and colored the rest of it green for the parks. My twirler is sharpening her colored pencil by whittling away at the lead with her scissors under her desk. 3:35 Pack up to go home. This takes at least 15 minutes, so I read a chapter from a book every day while kids are quietly packing up and joining me over at the carpet when they’re ready. It’s a great calm way to end the day. I love it, the kids love it, and we all remember why we love each other again. Most days I remember to also end the day with asking kids to tell me one thing they learned that day, but today I forget because we are interrupted three times in our peaceful reading of The Mouse and the Motorcycle. The first two times are the receptionist buzzing down through the intercom in my room to tell me kids are leaving early. The third time is an end of day announcement to the whole school reminding them about the annual Fall Carnival the next night. With that, I give up on reading and we line up to go home because, well, the carnival has been mentioned, and I have lost my audience . . .
8:00 We’ve all made it inside. The students are hanging up backpacks and putting their folders in the designated basket for me. I head over to my desk to enter morning attendance into the computer. I have a line on the floor made from colorful duct tape, which separates my desk area from the rest of the classroom. I call the designated area The Zone of Teacherness, and students know they may not touch things on my desk and shelves, or even cross the line unless they are invited to do so. They also know I am taking attendance and handling other administrative things right away, and they should go about their own business of starting the day unless they have an emergency. But, that doesn’t stop two of them from lining up and staring at me sheepishly from behind the duct tape line. I ask calmly, “Is this an emergency?” They both shake their heads no, so I wave goodbye and remind them to sit down and raise their hands if they need to tell me something. I assure them I will be with them in just a minute. This may seem harsh, but I learned the hard way that if you don’t have some sort of system like this in place, you will be bum-rushed by at least 15 children every morning who have urgent news for you. By urgent I mean they want to tell you their cat is going to the vet today, or their uncle is visiting from Minnesota, all of which are important to them and should be heard, but are not necessary for me to know right that instant. 8:10 While the students settle in and start their morning work on the board, I go through their folders to check homework and make sure there are no parent notes, permission slips, or book orders to deal with. In the meantime, I notice Braydon hacking ceaselessly into his morning work notebook. I send him to the nurse, not wanting other students (or myself) to catch the apparent plague he has brought with him. The nurse calls down to my room to ask if someone can bring his things down for him, because he has a fever of 102 and will be going home. Wonderful. Enter Clorox wipes for the first time that day in an attempt to disinfect everything Braydon’s touched in his short time in the classroom. 10:30 It’s time for Writer’s Workshop. This truly is one of my favorite times of the day. It starts with a ten minute mini lesson on a specific skill or topic to pay attention to in their writing for the day, and then students work independently on pieces of writing while I confer individually with them. Classical music plays in the background, and it is truly peaceful until . . . Jack runs to the garbage can to vomit and just barely makes it. I am both revolted and grateful that he didn’t puke on his desk or anywhere near me, as I am a joiner. I have made it abundantly clear to my students: if they feel like they need to be sick, they do not come tell me about it or ask to go to the bathroom. I’ve drilled it into them to just go quickly to the nearest garbage can. If they come tell me, they might puke on me. I assure them I will figure it out when I see them at the trash can, and won’t need an explanation. Kids are also not great at planning ahead, so trying to rush to make it to the bathroom usually results in a pile of that sawdust stuff they sprinkle on puke in the middle of the hallway. Jack hadn’t interrupted once during the mini lesson, and stayed in his seat the entire workshop time, so I should have known something was wrong. On that appetizing note, it’s lunchtime, and time for more Clorox wipes to disinfect Jack’s desk. 7:09 After hitting snooze too many times, I get ready, pack my lunch, and fill the biggest travel mug I own with precious coffee for the drive to work. I try to pretend it only takes 11 minutes to get to work, and I can be there by 7:20. I’m mentally kicking myself, because I know if I could manage to get up earlier and get to work early, I would feel less rushed and more prepared every morning. They told me I would become a morning person after a few years of teaching. They lied, and I’m not. 7:28 I actually get to work, and unload from the trunk my rolling suitcase of good intentions. It is filled with things I took home to catch up on and never did—papers I didn’t grade, and projects I didn’t prepare. 7:30 I juggle my coffee, suitcase, lunch, and purse while trying to unlock my classroom door. I immediately drop all my things right inside the door and turn my computer on to try to get ten minutes of work done before my colleagues start arriving and asking questions about the day. When my computer is fired up, I see an email from our principal about a mandatory staff meeting after school. Yippee. I also read five emails from parents. Two of them are confused about last night’s math homework. One is concerned her daughter is being bullied on the playground, and wants me to make sure I’m watching at all times during recess. Another is emailing to tell me her son won’t be in school for a week because his grandparents are in town. She wants me to get all work he will be missing to the office by lunch time that day so she can pick it up on her lunch break. The last one wants me to check the classroom, because her son hasn’t brought his lunch box home all week. He says he lost it. I glance over at the shelf above the coat rack, and sure enough, there is a Spiderman lunchbox abandoned in the corner. I’m sure there are new life forms growing in it by now. 7:40 After sifting through emails, I glance at the clock and realize I only have five minutes left to get outside to my post for supervising morning drop off. I must decide between going to the bathroom and getting morning work up on the board for the students. I had a doctor’s appointment the night before, so I had to jet right after school, and didn’t get it ready. I choose morning work, not wanting children waiting for me to get something ready, because that’s just asking for trouble. I know I can always open the door to my adjoining classroom, and ask the teacher next door to supervise for a second. I’ll run to the bathroom while my kids are working. I’m amazed at how many times a day I have to choose between meeting my own basic physical needs and job requirements. 7:45 I grab my coffee (now lukewarm, but still caffeinated) and head out to morning duty, where I attempt to keep traffic moving as I open sticky car doors, grinning and greeting students. No one else seems to be a morning person either, because my friendly smile is not returned, and I am actually jealous of one first grader’s Coach backpack as I help her out of her Escalade. My main job at this particular juncture is to keep cars flowing, to make sure no parent goes into road rage, and no student gets run over in the cluster crisis that is the morning traffic pattern. What a great way to start the day. 7:55 The morning bell rings signaling the kids to line up, and I head around the back of the school to greet my class. They are mostly lined up and ready to start the day, with the exception of a few. I notice one child crying because she forgot her library books. Another is wearing a parka, gloves, hat, and scarf. It’s November in Arizona, but after the brutal summer, I guess 67 degrees feels like winter. A third child is twirling around in oblivious circles, until I interrupt her, and she staggers off dizzy to join the line. I’m pretty sure she has forgotten to take her medication today. Earlier this week, I shared how teachers could use the Bullet Journal system of keeping a notebook to keep them organized in the classroom. But, I really think Bullet Journal could be a great tool to teach students to use as well. That's the beauty of this system, it's so flexible and adaptable to many different uses. Remember students can use any sturdy notebook (These composition books would work great), create an ongoing index, and customize it according to their needs or your classroom requirements. Day Planner/Assignment Notebook - Students could lay out a month at a glance two page spread and keep track of daily tasks and assignments, much like the original video. Reading Response journal - The index would provide an easy record of what students are reading. If they are reading multiple things at once, it helps them be able to find all their responses to a certain book, even if they aren't in sequential order. Writer's Workshop notebook - Brainstorming, organizing ideas, and drafts would be in one place but organized with the index so the student and teacher could find what they are looking for quickly. Note-taking - With older students especially, they could use one Bullet Journal for all their notes, but just index them according to subject to easily find what they're looking for. A subject specific notebook - Each subject in a different notebook and indexed in detail so students can easily find different topics. For example students could keep a math journal, and index it so they would know exactly where to find any notes on geometry, multiplication, etc. It could also be very free form then with illustrations, graphs, etc. spilling over onto extra pages, but an easy way to keep everything organized. The students and their stories are a part of you, not just as a teacher, but as a human being. Keeping your desk clean really does help you feel less crazy. Showing up, with habits and discipline, will make you more effective, and help get you through the days you just aren't feeling it. I have learned more from colleagues, students, and their parents than I have ever taught anyone. Teachers, just like parents, need to remember their own personhood. Sometimes in the service of little ones, we lose ourselves, and we have more to offer when we remember we are a person with outside interests and passions and pursue them. 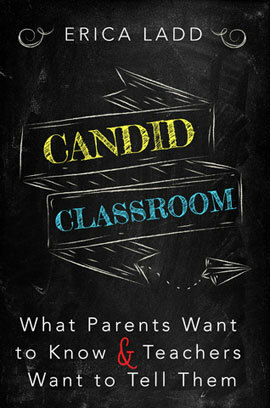 I'll have some more details to share with you soon about the release date, and hopefully a sneak peek of the cover of Candid Classroom: What Parents Want to Know & Teachers Want to Tell Them ! In the meantime, the best way to support the book is by joining my mailing list, so I can keep you informed. Subscribe via email to stay up to date with all the latest! Teaching cursive, and the emphasis on penmanship has changed dramatically in the last few decades. Some say, “It’s so sad. Kids don’t even know how to write anymore,” but the truth of the matter is we are waxing nostalgic a bit about the good old days when things have simply changed. I know I will have those who disagree, but handwriting just doesn’t matter in the same way it used to. Precise penmanship in handwriting used to be the means of professional and personal communication. With the advent of the typewriter and now computers, tablets, and smart phones, the typed word is the most important and often preferred means of communicating personally and definitely professionally. We would never dream of handing in a handwritten resume, no matter how perfect our penmanship. So, we don’t focus on teaching cursive like we used to, because frankly it isn’t important like it used to be to the future of our students. Now, does that mean we don’t teach kids to write legibly using a pencil and paper? Absolutely not, but penmanship just isn’t stressed anymore. My job is to prepare students for the actual future academic challenges and workplace they will enter, not teach them unnecessary skills for the sake of maintaining pretty handwriting. The cheerleaders for the mandatory teaching of cursive in schools tend to cite the ability to write quickly and fluently as a main reason for still teaching it explicitly. This is a bit of a myth because the fact is, proper cursive is not a prerequisite to writing quickly or fluently. Handwriting is a very individualized thing. No two people’s handwriting looks exactly alike despite their similar training in forming letters. A first grade teacher can usually tell two children’s handwriting apart after just a few weeks of school, because it is highly individual and will naturally differ. Again, it’s not that handwriting doesn’t matter. We should absolutely be teaching kids to write legibly, and form letters from the beginning properly to be able to distinguish between letters and write fluently. Students should be able to read back what they’ve written, and others should be able to read it as well. If we keep that goal in mind, we’ll actually be doing our students a lot more good. It applies to many things - using invented spelling, writing legibly, etc. If a student writes a word, another can read it, and their thought was communicated, isn’t that the point of writing and reading to begin with? In all reality, who cares if a child forms their a’s with a tail or without a tail as long as you can tell it’s an ‘a’? Let’s not let the means get in the way of the end. Tuesday on the blog, I started the conversation about how some methods of teaching subjects like spelling might actually be doing more harm than good. Something I was deeply surprised about in teaching was the weight parents placed on spelling. They discouraged kids from spelling words inventively or phonetically, which is an important step in their development. They wanted to know what the spelling words for the week were right away. They studied with their kids all week and were very concerned with their grades on spelling tests. There was certainly nothing wrong with being involved or concerned about spelling. But, I had to wonder what it was about spelling in particular that was so important to them. There are certain aspects of education that moms and dads tend to cling to more than others as a means to determine how their child is doing. Spelling was definitely one of those things. I think those things are usually what seem the most familiar to parents, because they are still often taught in a way that adults can relate to and remember from their own childhoods. 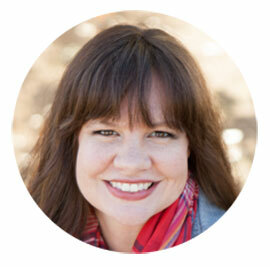 Familiarity translates into parents feeling confident to help their children with those areas. In addition to familiarity, there is definite nostalgia on the part of parents for “the good old days.” The common phrase heard is “Well, I was taught that way, and I turned out just fine.” Did you? Did everyone? Who was left out? Who hates school and learning now? What other supports did you have at home? What strengths of yours were encouraged while weaknesses in others were made greater? I can certainly understand the desire to keep doing things the way they’ve always been done, because beyond familiarity and nostalgia, it’s often just the easier way. It continues to be tempting as a teacher to teach spelling words by copying a list out of the teacher’s manual, sending that list home, asking students to memorize it, and then testing them on it every Friday. It’s much easier than using relevant words to the students, teaching spelling as a more complex word study involving word parts and their meanings, or expecting students to use the words they’ve learned correctly. But, memorization is one of the lowest forms of learning. According to Bloom’s Taxonomy, the standard for classifying learning objectives in the world of education, remembering or recalling previously learned information is only the most basic level of understanding. Asking students to simply memorize and then repeat spelling words doesn’t ask them to understand those words, be able to apply them in their own writing, break those words into their meaningful parts, use those parts to create a new and different word with a related meaning, or to evaluate their own writing or other’s writing with the correct use of those words. I know it’s also easiest for parents to practice those spelling words with your kids because it feels like something simple to cross off the to-do list. Spelling words memorized? Check! But honestly, it’s not the best use of you or your child’s time. I need you to know that in many cases, there is not even an overall grade given for spelling alone. There often is not a separate spelling curriculum anymore, nor is there a box on the report card for a spelling grade. Currently, teachers are encouraged to teach spelling in applicable ways interwoven into reading and writing, not as an isolated subject. So it should not be the days of old with spelling workbooks and photocopied predictable worksheets to fill out or crossword puzzles to do. We’re doing a serious disservice to our kids if we’re making it all about spelling their lists correctly and getting those 100%’s and gold stars. That’s not to say that spelling doesn’t matter. Nobody needs to be a perfect speller, but we do need to be competent spellers. Good spelling instruction should go beyond tricks and tips to memorize words, and aim for understanding. It’s not a question of the old way versus the new way, but of teaching for complete understanding as opposed to mere memorization. Either way they’ll do well on a test, but if they really understand words, they won’t grow up wondering whether to use their, there, or they’re when talking about their school experience more positively. It was Friday morning, and like every Friday morning we were starting off with a spelling test. I would slowly read words we had learned that week, and then use them in a sentence to test just how well my students had committed them to memory. Every Monday a list of words went home, and they were used in many different activities throughout the week. The patterns in the words were studied, and then the students were tested on them at the end of the week. I was never really quite comfortable with the way we did this. I felt like we were authentically studying the words during the week, but it didn’t seem to match the way we were assessing whether or not students had learned them with a simple test. These two things didn’t seem to jive, but parents expected a spelling test with a grade every week, so that’s what we gave them. One particular Friday, I discovered how little good this test was doing. Brad was at his desk struggling but pretending to look calm. He kept looking under his desk, again and again, but I couldn’t figure out what he was looking for. Soon I figured out he had slipped his spelling list in between the top of his desk and the bar that supported the desktop. He was trying his best to be sly - sliding it out, and then back in, to see how to spell each word before writing it on his paper. In other words, he was cheating. The teacher in me was ready to march over and catch him in the act, scolding and disciplining him accordingly. Then I looked closer at his face. Brad was a great kid. He was well-liked by his classmates, and had a charming, sincere personality. But he struggled in school, with pretty much everything. He always gave his all, but school was tough for him. To make matters worse, he had two much older sisters who added pressure with their great grades and school involvement. His parents had high expectations of him, and lately had been so pleased his spelling test grades were improving, because they had been working hard with him at home. Every night his homework folder was stuffed with extra spelling activities, at their request, and he was proud to show me how hard he was working. I applauded their effort, and I had been pleasantly surprised to see his scores improve too. Until today, that is. My heart sank knowing this was probably the main reason for the dramatic improvement. He had figured out a way to beat the system. Knowing him, it wasn’t about trying to get away with something but to feel successful, and to make his parents and teacher proud. It was that moment I first questioned the value of this testing system. Did it accurately reflect learning? Did it reward the wrong things? I begain to wonder: if it was this easy to cheat on the test, what real learning was taking place? What were we even measuring? When I looked at Brad, I had to honestly ask myself: Were my spelling tests praising the kids who were already successful, and forcing the others just to cope? Growing up in school, things like grammar, penmanship, and spelling were some of the most emphasized aspects of my education. We were taught to focus on the mechanics and appearance of writing, more frequently and often before the actual ideas behind our writing. But, what good is great penmanship in writing a superficial letter? Why does spelling matter, if your word choices are immature and insufficient to get ideas across? Is it really that we don't teach these things anymore, or that we teach them differently? What are your thoughts on teaching spelling, penmanship, cursive? What has changed since you were in school? Do you think kids are missing out on important instruction? I'm exploring some of these common questions over the next few blog posts, discussing how and why things have changed, and how we balance meeting the changing needs of this generation with teaching the basics. I hope you'll stop back and weigh in! I am in the home stretch of finishing my book! It's in the revising/editing stage right now, and I've enlisted some extra help. An incredible team of teachers and administrators has made time in their busy schedules to review a chapter for me, and give me feedback from an educator's perspective. I also want them to add their own thoughts, in their own voices. I am thrilled because each chapter will end with quotes from these fellow teachers I have worked with, admired, or learned from. Although it has been an idea of mine from the beginning of this project to include the voices of other teachers, seeing this idea come to life with actual words from actual teachers means so much to me. I'm reminded of how much I love this profession, and so many of the people in it. Their feedback has been so insightful and useful in polishing up this book. I am unbelievably grateful for their help and humbled to be in such great company. It's special to me because it embodies what this book is about. The book gives teachers a voice and parents some answers. It talks about the things that really matter to both of us, and reminds us what doesn't or shouldn't. It will help to sift through the political jargon of education and just tell some stories of real teachers, students, and parents in this business of educating young people. So, this book isn't just for parents, it's for you teachers who work so tirelessly and may not have the time or energy left at the end of the day for some of these conversations. It's for teachers who may be frustrated by misunderstandings and a lack of support. I'm hoping to open up your classroom door and shed some light on what it is you do. I'm hoping to show parents the view through your classroom window, and help us all understand each other better by telling the truth about the incredible work you do every day with their children. I know firsthand you have one of the hardest jobs in the world, and no amount of pay would be enough in return. So, thank you for doing what you do with such dedication and determination, and thank you for giving me something so beautiful to write about. More book details coming soon! I can't wait to share the cover with you, and let you know more release details as soon as I have them. In the meantime, I'd really appreciate it if you would subscribe to my email list. Just add your email address and hit subscribe in the upper left of the website. I'm the only one who will have your email, and it will allow me to keep you posted on all the latest. You can also like The Candid Teacher Facebook page for updates and fun news and follow me on Twitter. Your support of this project means the world to me.